Take 1 cup of fresh curd and whisk by add hing 1 cup of water. Add the besan and mix nicely with out lumps..
Crush the chilli and ginger, add to the butter milk. Heat a pan with oil add cumin seeds, curry leaves. 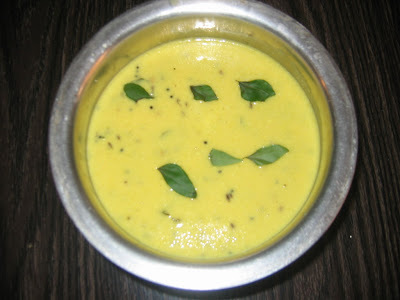 Stir continuously and boil in a low flame.If the kadhi is thick add little water.. 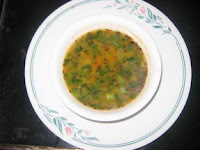 This kadhi is very easy to make. You can add bajjias(pakodis) into the hot kadhi. 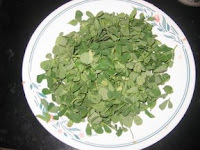 Wash, dry and cut the methi leaves. 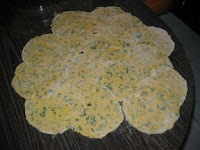 Add flour, chilli powder, coriander powder, hing, salt,oil and curd and make a thick dough(like chapathi dough). Divide the dough into small balls. Roll each ball into round shape. Heat a thava and place the paratha. Turn over the other side and apply ghee. Fry both sides till it becomes golden colour. 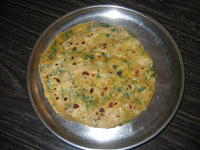 Serve the hot parathas with raita. 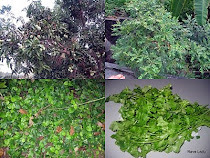 Wash the methi and removes the leaves. cook the tur dhal in cooker. 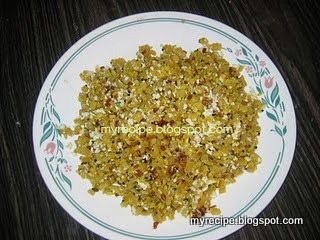 Heat a pan with oil add mustard seeds, jeera. When the mustard seeds crackle add onion , then tomato, turmeric, salt, chilli coriander powder, turmeric powder, hing and salt. When the onion and tomato are cooked,add the cooked dal, methi leaves and let it boil. Add water for desired thickness. When the leaves are cooked remove from the fire. This dal tastes good with chapathi/rice. Vazha Thandu is rich in fiber.I have heard that if you drink this VazhaThandu juice, it is good remedy for kidney stone ..It also helps to loose weight. 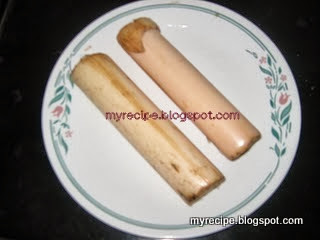 This dish is very simple and healthy. 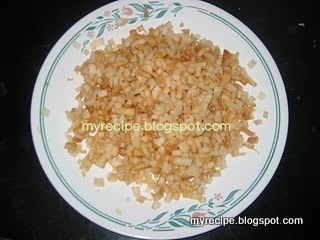 Remove the chopped thandu from the water. Heat a pan add oil,mustard seeds,urad dhal and chili. When the mustard seeds crackle, add the vazha thandu, turmeric powder , salt and little water to cook. When it is cooked add coarsely ground coconut. You can eat this curry with sambar rice/ rasam rice. This sevai nazhi was given to me by my mother in law. 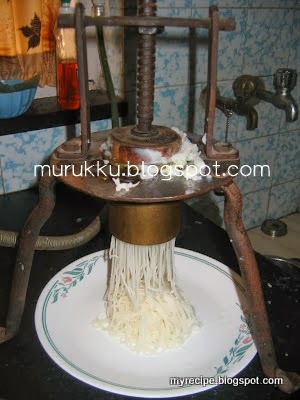 Very easy to make the sevai. I make this sevai very often.